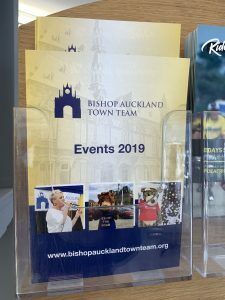 Pick up your copy from various locations including Newgate Shopping Centre, Bishop Auckland Town Hall, Auckland Tower, No. 42, the Four Clocks Centre plus many shops and businesses around the town. A special thanks to our advertisers…. Get your FREE copy today and keep it handy to find out what’s going on throughout the year!